As a follow-up to their first true feature film, Monty Python and the Holy Grail, the comic troupe next decided to tackle a “shadow” version of the Christ story. Shot in the Middle East and produced during Margaret Thatcher’s ascendant years, the film satirized—among other matters—authoritarianism and religious zealotry. Upon its release, Monty Python’s Life of Brian was both a critical and commercial success, and has been since hailed as one of the greatest comedies of all time. But the film also faced backlash from religious groups for its blasphemy, perceived or otherwise. In A Book about the Film Monty Python's Life of Brian: All of the References from Assyrians to Zeffirelli, Darl Larsen identifies and examines the plethora of cultural, historical, and topical allusions in the film. In this resource, Larsen delineates virtually every allusion and reference that appears in the film—from first-century Jerusalem through 1970s Great Britain. Organized chronologically by scene, the entries in this cultural history cover literary and metaphoric allusions, symbolisms, names, peoples, and places, as well as the many social, cultural, and historical elements that populate this film. Darl Larsen is professor in the media arts department and the Center for Animation at Brigham Young University, where he teaches film, animation, screenwriting, and popular culture studies. He is the author of Monty Python, Shakespeare, and English Renaissance Drama (2003), Monty Python’s Flying Circus: An Utterly Complete, Thoroughly Unillustrated, Absolutely Unauthorized Guide to Possibly All the References (Taylor Trade, 2013), and A Book about Monty Python and the Holy Grail: All the References from African Swallows to Zoot (Rowman & Littlefield, 2015). Larsen ain’t kidding about his subtitle. 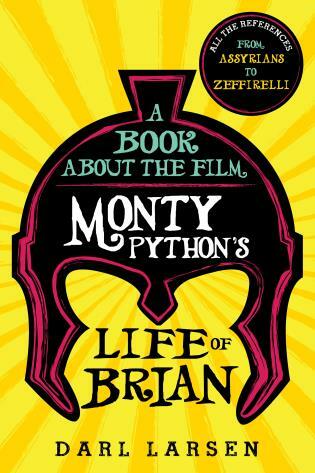 Like his similar book about Monty Python and the Holy Grail, this one provides a microscopically close reading of Monty Python's Life of Brian, about a fellow named Brian whose life parallels, in a satirical way, the life of Christ. The author teases out every last shred of meaning, every oblique reference, every nudge-nudge-wink-wink in-joke, every bit of political and religious commentary, allowing us to see the film in a new and frequently surprising light. For example, John Cleese’s line, 'It is the Meek who are the problem,' isn’t just a reference to the many people who refused to accept Jesus’ message; it’s also a reference to a specific agent of political change in Britain after WWII. Larsen’s scholarship is just remarkable, and his affection for Python is abundant on every page. 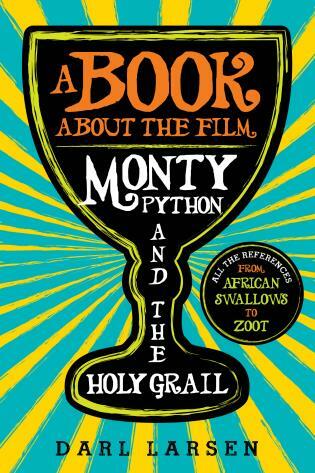 For those who believe Monty Python is too often written off as merely a comedy troupe, this book is a reminder of just how erudite and talented the members of Python are. A must-read for fans. By closely examining each scene, this book explores the Pythons’ comparisons of the Roman and British Empires and of Pilate and Margaret Thatcher. In addition, Larsen helps to situate Life of Brian in the “Jesus” re-examination of the postwar period, while also taking a close look at the terror groups of first-century Judea and the modern world. A Book about the Film Monty Python's Life of Brian will appeal to scholars of history, film, British culture, and pop culture, as well as to the many fans of this iconic group.